This is a fabulous platinum & diamond ring that has been handmade to Alan's design. 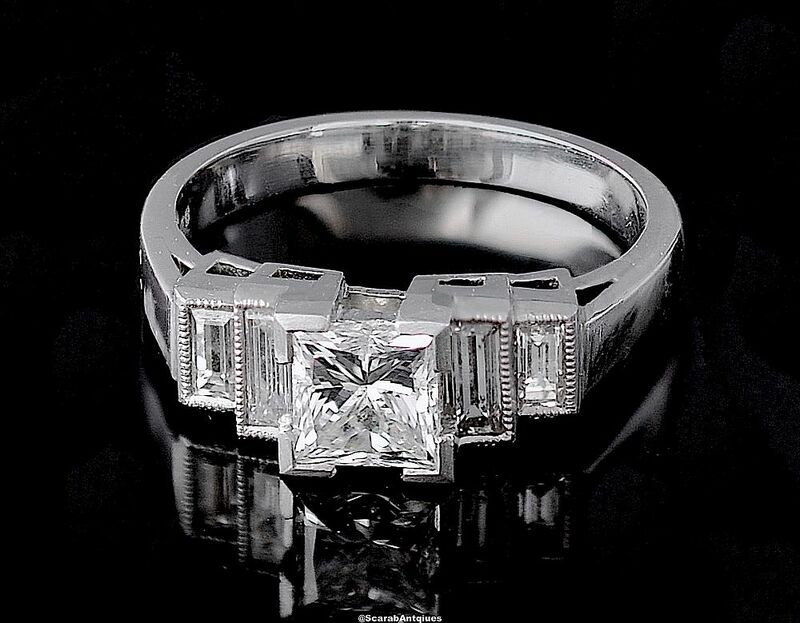 In the centre of the ring is a princess cut diamond set in a square platinum setting with 4 corner claws. On either side of the centre diamond are baguette diamonds in step down rubover mille-grained platinum settings. The ring has been hallmarked by the London Assay Office for platinum & 2018 and bears the sponors' mark "A&SP" for Alan & Sue Poultney.